iPhone 6 and iPhone 6 Plus will be available in India beginning Friday, October 17, from Apple Authorized Resellers. Customers can pre-order iPhone 6 and iPhone 6 Plus beginning Tuesday, October 7. 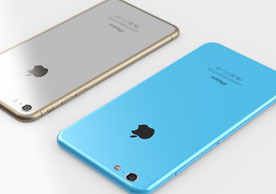 Buy iPhone 6 & iPhone 6 Plus. Infibeam.com is Apple authorued reseller in india at lowest price then others online mobile store. Apple iPhones 6 and iPhone 6 Plus are available in Gold, Space and Silver Gray, and are available in 16, 64, and 128 GB capacities.